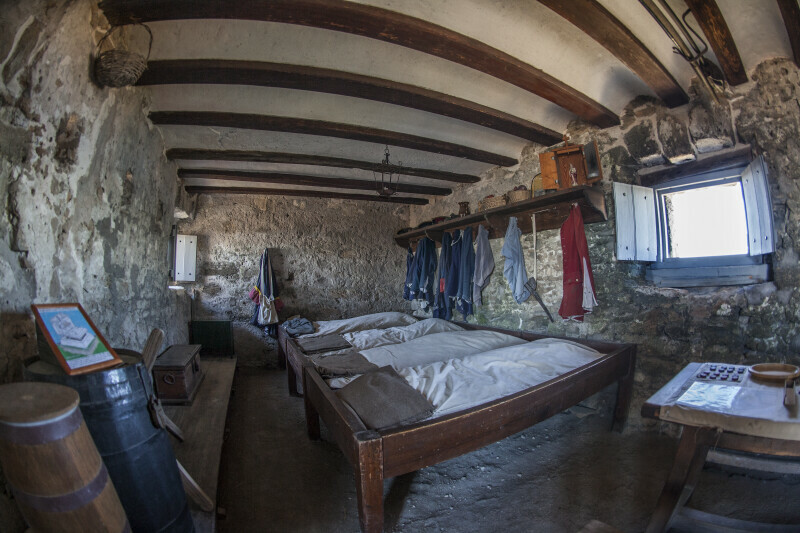 This is an interior view of the soldier's quarters. This room was used by the soldiers, for sleeping, eating, and socializing. The mattresses are in a single wooden frame. There is a long shelf attached above the bunks with hooks, for personal belongings. These bunks were for the use of the common soldiers, including the infantrymen and gunners. There appears to be two shuttered windows in the quarters. The fort is listed on the National Register of Historic Places, as Fort Matanzas National Monument.